Cockscomb Basin Wildlife Sanctuary and Jaguar Preserve is believed to have the world’s largest density of jaguars as well as several other cat species. Belize’s national animal, the endangered tapir, also lives in the Cockscomb Basin Reserve along with over 290 different species of birds. It’s no wonder why Cockscomb is a leading destination for nature lovers around the world! 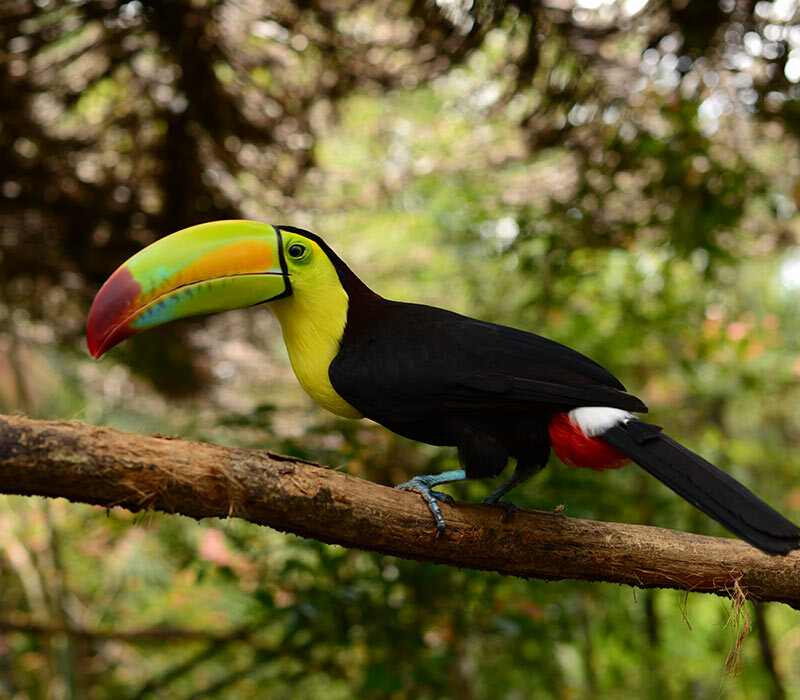 In this Belize Nature and Jungle Tour, your professional guide will meet you at Laru Beya for an hour drive to Maya Center Village, where you will check in and register before entering the Wildlife Sanctuary Reserve. At the register center, you can also purchase beautiful hand-carved slate plaques, baskets, jewelry and clothing made by local Mayan women. Upon arrival to the reserve, you will be briefed and given orientation about the park. 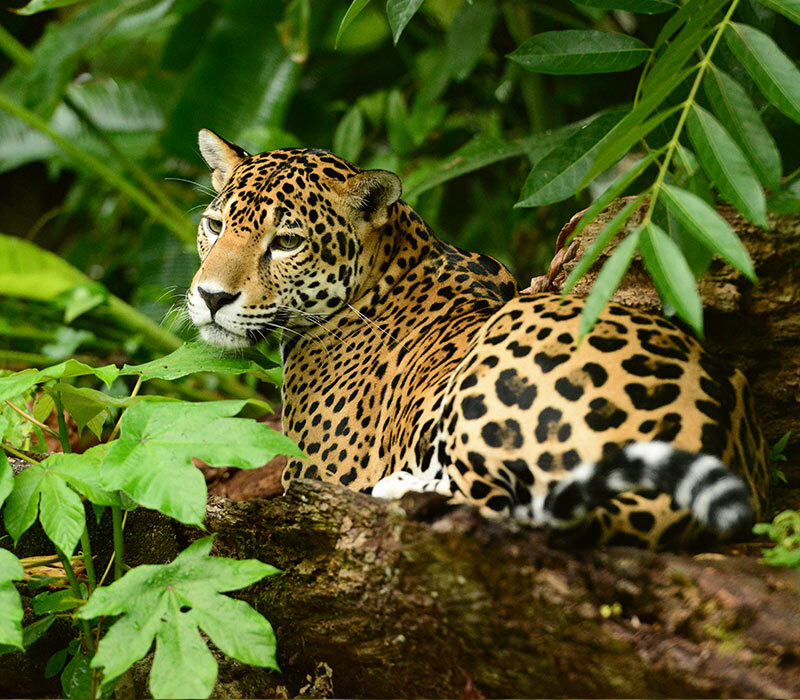 You will also view the original cages built by reserve founder, Alan Rabinowitz, which he used to capture and tag wild jaguars. The first hike will be on an established trail, where your guide will explain the flora and fauna that makes the reserve such amazing place. You will also get to see a plethora of wildlife including a variety of exotic birds. After the first hike on the trail, you will return back for a home cooked lunch. Later, the adventure continues as you hike upstream with inner tubes. It’s now time to relax and enjoy nature as you gently float downstream going with the flow of the South Stann Creek River. After the river tubing, you will hike to the local waterfall for a refreshing swim. You will have the chance to swim under the waterfall and receive a natural massage from the flowing fall. What a great way to end your Belize hiking adventure! Total Duration & Distance: This is a full day adventure tour departing at 8:00 am and returning at 5:00pm. Location: Stann Creek District in the Cockscomb Basin Wildlife Sanctuary and Jaguar Preserve. 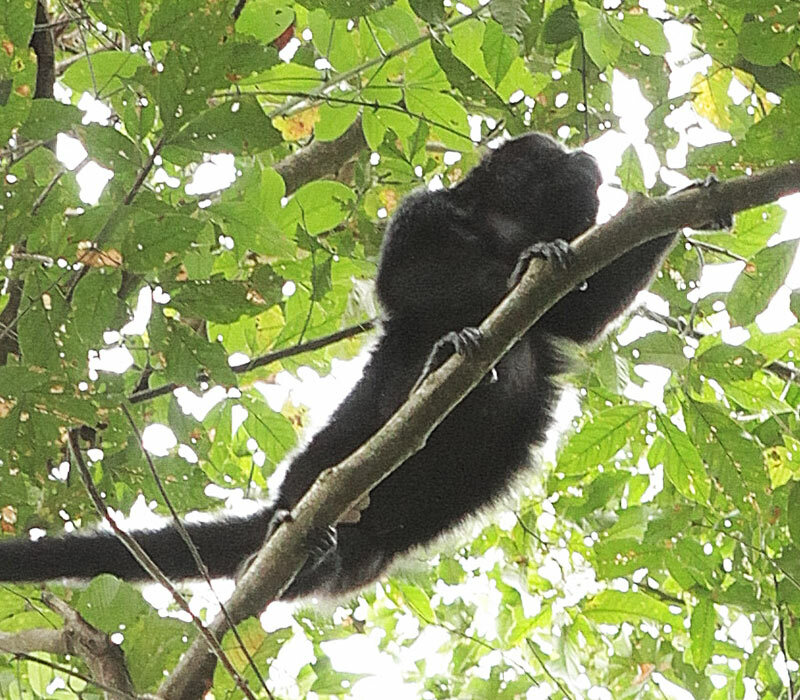 Explore the pristine jungles of Belize and get a look at some of Belize’s wildlife in their natural habitats. With over 500 different species of birds, 80 percent of which are classified as resident birds and 20 percent as migrants from North America, Belize has become a premier destination for bird watching. Its tropical rainforests, savannahs, wetlands, and coastal plains offer a spectacular opportunity for viewing our numerous birds in their natural habitat. Birding in Belize is an experience for both the amateur and professional bird watcher. Laru Beya’s Bird Watching Tour leaves at sunrise with stops at two locations around Placencia. Destinations included are the banana farm to view fly catchers, warblers (November to April), and vultures as well as a second stop at the Cockscomb Basin Wildlife Sanctuary and Jaguar Preserve where you will witness various birds such as: toucans, tinamous, trogans, motmots, herons, king vultures and the occasional scarlet macaws when in season (December to March). 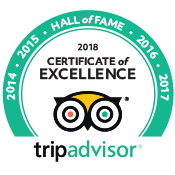 Total Duration & Distance: This is a full day adventure tour departing at 8:30 and returning at 4:30. Bring: Sturdy tennis shoes or hiking boots, comfortable & lightweight clothing, sunscreen, sunglasses, hat, swimwear, extra change of clothes, camera, and pocket money if you would like to purchase souvenirs. Provided: Park entrance fees, drinking water and Belizean lunch at the local Mayan King Grill.